• This unique and thoughtfully designed wool filled pillow case will add comfort and purity to your existing pillow. • Simply put this pillow case over your pillow and avoid a large investment buying a new pillow. • Eliminates the overheating and night sweats common with down, feather and synthetic fills and foam. 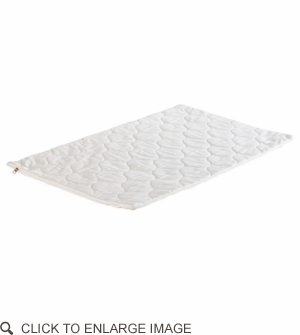 • Makes your sleeping surface 100% natural and chemical-free. • Experience the countless benefits of wool. • Blocks off gassing from your current pillow. • The cotton fabric is pre-shrunk for the best performance.